The Sterling Eccles Sport 584 has been upgraded for the 2013 season; a notable upgrade is the installation of the Truma Combi-boiler which although is the size of a conventional water heater, it enables the space previously used by the traditional room heater to be better utilised. It’s a win-win for designers and owners as it has created more storage space. The boiler is mounted in a floor locker and has a dual fuel operation for hot water and blown air heating controlled by a user-friendly touch screen panel. There are blown air ducts in the living area, the bedroom and the shower room. In the living area, a new interior colour scheme with Italian Ash wood grain texture is complemented by the soft furnishings; if you don’t like the standard Sheraton upholstery, or you just want to personalise your caravan, there are three other options available. The bed make up system has dedicated tracks to keep the bed slats in place. We liked the LED down lighters and task lighting which complement the ambient lighting over the lockers. In addition, to give even more light, a panoramic sun roof is now standard. The kitchen has the benefit of an extendable worktop and the granite effect round sink has a removable drainer with dedicated storage. The black fronted Thetford fridge harmonises with the front of the oven and grill; it’s contemporary touch with a high street look. A transverse island bed glides easily from a day bed to a traditional bed and lifts up too, to give extra storage. I was impressed with the storage opportunities given by two wardrobes, drawers and a cupboard. The end shower room is certainly a decent size for the “smallest room” with a space saving sliding door benefiting it and the bedroom area. Another important upgrade is the inclusion of Thatcham approved Tracker Retrieve tracking device – also approved by Caravan Guard and therefore will secure buyers a sizeable insurance discount. 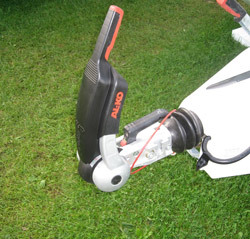 Electronic anti-snaking in the form of AL-KO ATC, the AL-KO 3004 stabiliser and AL-KO Secure receiver are fitted as standard; the wheel lock is an optional extra. The exterior walls are 5000 series marine grade aluminium; it’s strong and easy to clean. The awning light is now an LED. Price is ex-works and includes VAT @ 20% but excludes a recommended retailer delivery charge of £535 including VAT which includes delivery and preparing your caravan for collection by you. Island beds have the marmite effect but this is a good caravan for those that rally. Mostly, I suspect, it will be a caravan bought by a twosome for chill-out comfort rather than a parental unit + 2. If you add optional security features, like the AL-KO Secure wheel lock and possibly an alarm, they will further reduce the cost of your insurance. 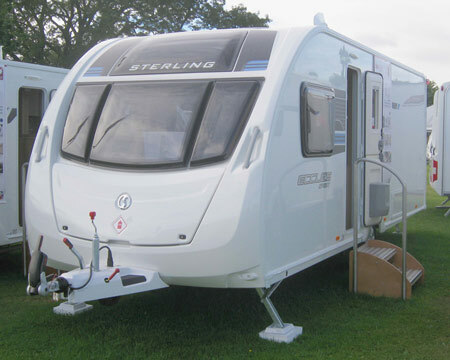 *Caravan insurance cost based on 2013 Sterling Eccles Sport 584 retailing for £17,295. 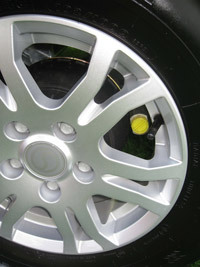 Fitted with hitchlock, wheel clamp, plus standard security and safety devices. Kept on drive at HX4 0BE. Caravanners over 30 years old, claim free for 3 years and a member of a caravanning club. £100 excess. 180 days European cover and up to £75 per day for up to 15 days emergency accommodation cover included. Legal expenses cover, extended European cover and other emergency accommodation expenses cover options are available at extra cost. Quote includes 10% online discount and 6% Insurance Premium Tax and is correct as of 20/03/2013. Bought a new 2013 584 at the back end of the year. Within a year it was full of damp, requiring a whole front end and panel under the kitchen window. Shortly after that the central front window failed along the top and slowly filled up with water. The final straw was the fridge control panel failed. Needless to say we traded it in for a Lunar Clubman. This is our second sterling caravan. We bought the 584 sport from new in 2013 and love it. As I switch the power button on, on the charging unit the overhead panel lights up and bleebs in the usual way, but as I stand up to push the overhead control panel button on above the door it appears to be dead. We seem to have some loose connection somewhere but no idea where to start. Hi Melissa. It sounds like something that could be easily rectified. You could try to contact Swift directly. Have you tried Swift Talk – http://www.swift-talk.co.uk – This is their own forum and many issues can be resolved via this channel. Alternatively they do have technical FAQ pages on their website – http://www.swiftgroup.co.uk/help-and-advice/customer-service/technical-faqs or their customer services helpline is 01482 875740.
weve bought the Eccles sport 584 in the summer and love it, wondered if anyone had any storage for winter tips? Do we need to drain it & if so how ? You do need to drain down between November 1st and March 15th. You will not be covered for damage caused by water freezing unless you drain down when your caravan is not in use. Hi bought a 2014 Sterling 584 eccles sport the first time out a locker light had a fault, so I got in touch with the nearest agent for swift, the sparky aid it was a fault on this model, I e-mailed swift and they sent me the full set of Led lights for the lockers, I was given 3 options take it to an agent / take to Halfords / DIY. I chose to do it myself it’s straight forward just take your time think what youre doing. I’m on my fifth outing with the caravan at Cromer, the van is beautiful put together, you can expect things to go wrong, so go and tell the manufacturer, how can they put things to right if you don’t tell them. I wrote this because of my experience with this model, hope it helps. 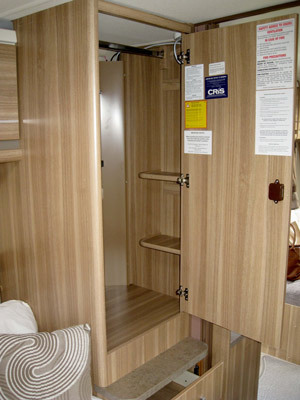 We have one of these caravans and are experiencing problems with the locker doors above the seating in the front of the caravan.Last month the left hand side locker door sheered away because the locker hinges seized and when we went to open the locker it just came away from the caravan.We had this fixed by the people who sold us the caravan,but we have just been away in the caravan this week and the same has happened to the right sided locker.I can see no way of adjusting the hinges,so why is this happening.?Anyone? Hi Terry – that doesn’t sound good. Hopefully someone here on the blog will be able to help, otherwise I’ll forward your query onto to Swift in the meantime to see if they have any suggestions. After much research we have just bought a brand new 2014 Challenger Sport 584. 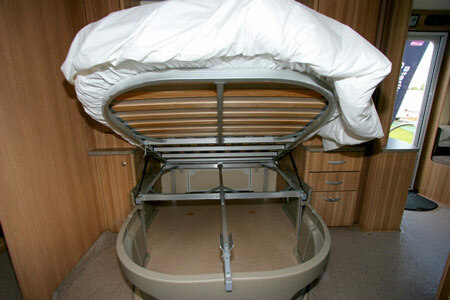 We are as the main review suggests a couple who prefer the ease of a fixed bed without having to climb over each other for a toilet trip in the middle of the night. We love it. Best money we have ever spent……. 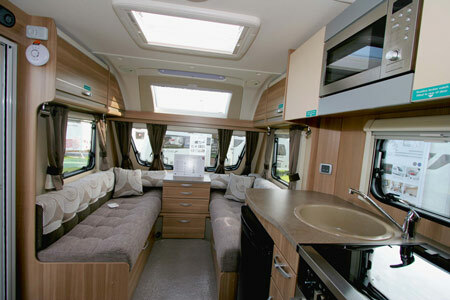 Sorry to say don’t beleive anyone’s really tried the van off hookup – we have a Sterling Europa 520. The cooker is not as good as our last van (Elddis) the Truma heater needs power for the Fan (drains battery) plus why not a maual flush toilet and LED Awning light started to die after 2 years. I thought LEDs lasted? However we love the layout and the shower/washroom etc. Just don’t want Caravans to go this way. Thanks for getting in touch. I’ll speak to the Swift and get back to you as soon as I can. 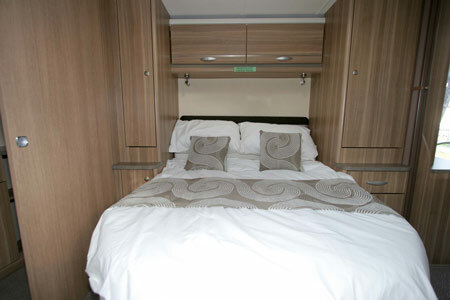 This is a fantastic caravan with a very good layout even for a family of four. We love the island bed and is fantastic for use during the day and at night. The washroom was something we thought might not get use of the shower but how wrong I was, the Truma boiler is excellent and you have plenty hot water for a good shower. The heating system has also allowed us to used the van through the winter without any bother. This is our second new Sterling van and bought it as we found it was better specified and better quality than its competitors. Hi Scott, thanks for getting in touch! It’s fantastic to hear that you and your family are so impressed by the Sterling Eccles Sport. 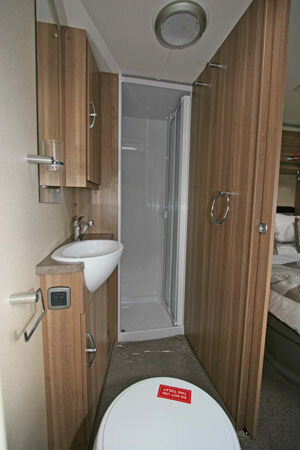 It sounds as though you’ve found a caravan that’s perfectly suited to your needs! 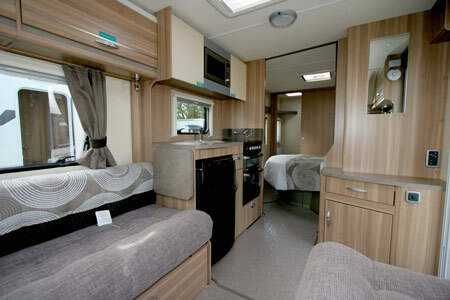 Amazing layout especially the island bed with end bathroom, have looked at may caravans with the island bed but the bathroom is really really small, this is just what I’m looking for, just can’t afford to spend that much, does this layout come in an older van. Hi Louise, thanks for your comment. There are other models in the Eccles range with similar layouts – see here for details. Alternatively, you could contact your nearest Swift dealer to see if there are older models available close to you. Just bought this van, it is lovely. The layout suits our needs perfectly, it has a very modern look with light wood and neutral fabric that won’t date. Although there is no fire the heating works on gas or electrics so doesn’t need hook up. Lightweight so is good with most vehicles for towing. Fantastic luxurius looking van. Ideal for the discerning luxury loving caravanning couple. However where are vans going? Why no Gas fire? Everything depends on hook-up soon they’ll be glowing in the dark! Is this eco friendly? Is it the exterior you’re not keen on?